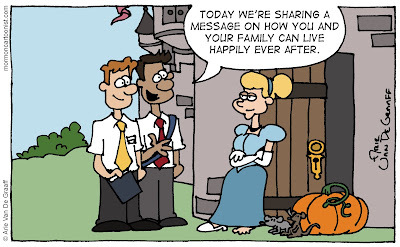 Today's gag got me wondering what other fairy tale princesses might think of the gospel. Snow White might be hesitant to accept the Word of Wisdom. But not for the usual reasons, she'd be wary of any dietary code that advocates fruits. Mulan (not really a princess, I know, but work with me) would be very interested in the Church's family history work. 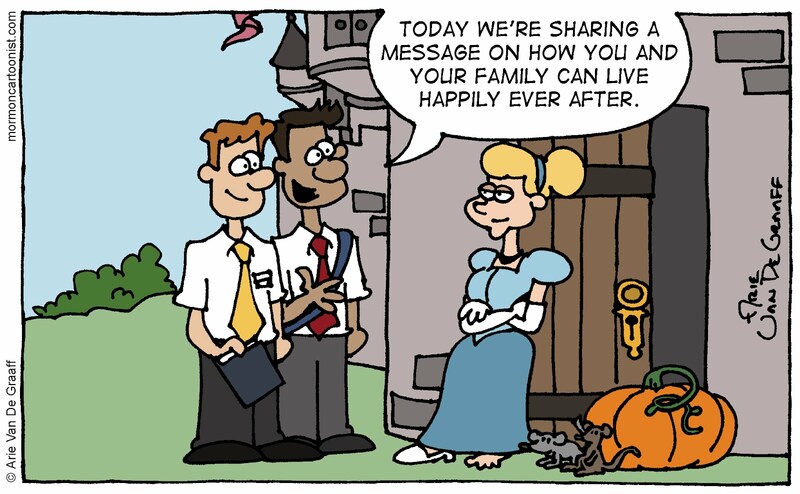 And Sleeping Beauty would really hate 9 o'clock sacrament meeting. Hahaha! Does Cinderella WANT to be with her family forever??? I think Jasmine might possibly struggle with dressing modestly while Ariel might have a hard time giving generously to fast offerings, based on her song, "I want more..."
Ariel has a host of problems. From honoring her parents to dressing modestly to the Word of Wisdom (remember when she blew the pipe of Prince Eric's servant?) to her uncontrolled greed. Seriously, if my little girl ever identified Ariel as her favorite Disney Princess, I'd be very worried. We'll make Mulan an honorary princess. I mean, she saved an entire country! What other Disney princess could say the same? Mulan is the best, but she doesn't need the princess title to validate her worth.